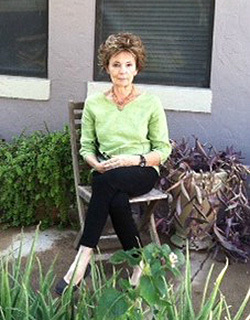 My name is Judy Carter and I am sole owner of Planet Earth Remedies. I feel so fortunate to still be in business after 15 years, as many of our friends have had to close their businesses due to the economy. After traveling for many years in California, Arizona and New Mexico working events, I now, for the last 5 years, have had the luxury of working strictly from my website shop – and life is good. Having always had health issues from an early age – I almost by accident was introduced to the miracles of natural remedies. While working in corporate America 16 plus years ago, I was going to a pain clinic in Phoenix three times a week, to get help for neck & spine pain and TMJ. One weekend at a downtown Phoenix, Az swap meet , I bought a bottle of Eucalyptus Oil, sat down on a bench, began massaging the Eucalyptus Oil into my neck and shoulder area and could not believe that within about 5 minutes or so – my neck pain and headache were no where to be found. The next day, I made my first lip balm and a year later, had a full line of therapeutic products made, quit my job and traveled for many years working large events, Farmers Markets. A big part of selling my products was actually massaging customers – rarely longer than 5 minutes to show just how simple it can be for everyone to improve their life with just a little effort. I believe my products are the very best available on the market. I try to explain on my product pages the benefits of each product, why one may be better than the other – in dealing with specific ailments. My products are natural and extremely concentrated and filled to the brim. I have exclusively used my products since origination and find enormous relief for extended amounts of time, and take no pain medication…ever! This is not a luxury line – but a practical, useful, essential product line to help people live a more comfortable life – the natural way. My purpose with this business has always been to provide a superior line of products – at affordable pricing to all.